Have you found a property that is in need of work that would increase the value? 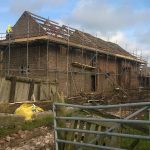 Our refurbishment loans can be used to bring out the potential of a property, be it a cosmetic upgrade or more substantial work that includes extending or other structural works. We can provide you with the cost of the work along with capital to help towards the purchase. The loans can be structured like our conversion or new build finance packages, with you only taking the money you need. The rest can be broken into stages and drawn down when the time is right. Our loans are straightforward and because we have years of experience the decision can be made quickly. This leaves you able to plan for the project rather than spend valuable time looking around for suitable funding. Using a loan from Richmond Securities can unlock the potential in any type of residential property. Get in touch today to discuss your next or future projects. Specialist Finance Is A Vital Component To Any Project. As with any sort of development project, it is important that you use a specialist lender when looking to fund your refurbishment project. With any property proposal where work is being undertaken you should have flexibiltiy and a loan that is fit for purpose. Even the most simple refurbishment project can hit unforeseen problems, which is where the experience and willingness to help of Richmond Securities can become invaluable. All our loans are put together with you in mind. We want you to complete the project and make a profit. So, we always give a term that gives you long enough to do the work, find a buyer or buy to let mortgage as well as giving you a buffer. That extra time doesn’t cost you any more, you still only pay interest on the time you have had the loan but it does give you peace of mind. Just like our other finance, we take some basic but important information from you at the start so we can take a thorough look at the proposal. We will be back in touch with you with figures and a decision you can rely on. We want to lend you money, so we don’t put barriers in the way of getting the funds to you. Paperwork is kept to a minimum and there aren’t hundreds of hoops to jump through. Our loans are competitively priced, flexible and can be tailored to suit your needs.